SELBY has been in arts and music his whole life, and studied under many masters. His early involvement in live bands and drumming began in early 2000. As he progressed in live music, there began a need to record the information which was being created. The world of mixing and recording was opened up and he took digital workstation lessons from a well respected teacher by the name of Stephan Jacobs. As the Dubstep genre took the world by storm, it caught the young artists attention and while venturing into music production and sound design, he decided to have a go at it. After Years of involvement and dedication, Selby was born. Around that same time Selby met a true master of mixing, Steven [RAID] Stinson of Devine Rewind. He taught Selby how to mix and soon became the DJ group “Selby and Raid”. They played Drum N Bass in Orange County California together and were a big part of a weekly event dubbed “MERGE”. They had shared the stage with renowned artists Sluggo, Helicopter Showdown, Figure, DJ Shortee, and many more. In 2015 Selby set off on a 22 stop West Coast tour with world renown dubstep/grime innovator DOSHY(Dominik Shilling) Creator of Robox Record Label. 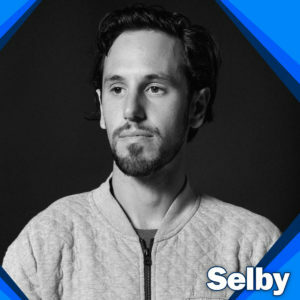 Selby released his first album “Pulse Or Friction” with ShadowTrix Music, a southern California based Label and Brand. And also a release on the Sleeveless Warriors Vol.2 He has also played Camp Questionmark’s Ancient Machines, and Emissions Music Festival’s. It has truly only just begun for Selby. In his time off Selby is a Teacher and dedicated staff member of a Non Profit organization Named Everyone Deserves a Chance. The programs they provide teach children to DJ and Produce music. Its his way of giving back to the community and the music that gave him so much.